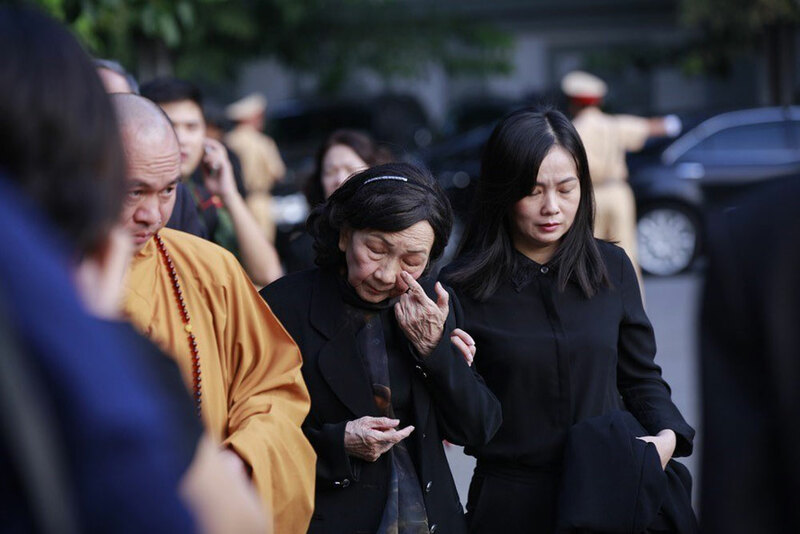 The memorial services for President Tran Dai Quang take place in Hanoi on September 26 morning. 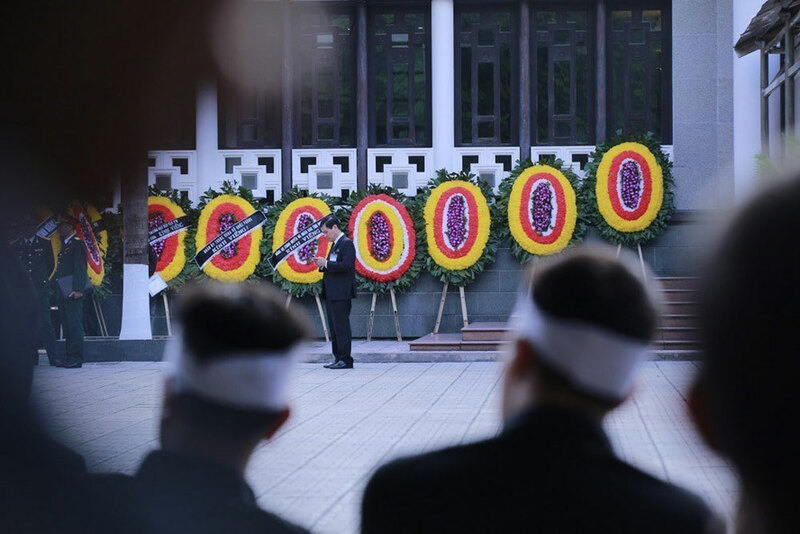 The respect-paying ceremony for President Tran Dai Quang starts at 7am on September 26 at the National Funeral Hall at No. 5, Tran Thanh Tong Street, Hanoi (Photo: VNA). 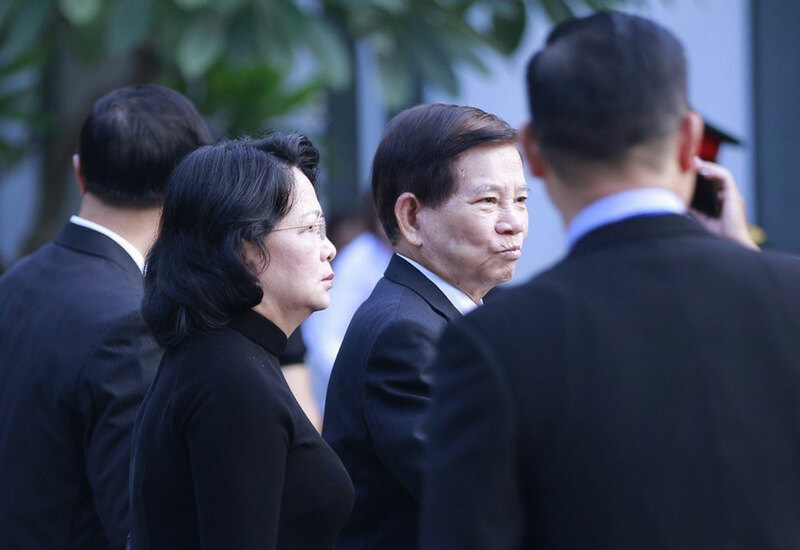 Acting President Dang Thi Ngoc Thinh and former President Nguyen Minh Triet at the ceremony (Photo: VNA). 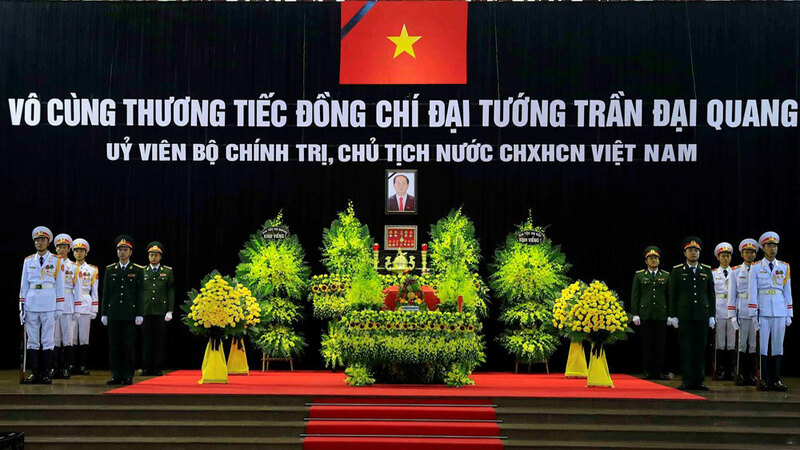 People pay respect to President Tran Dai Quang (Photo: VNA). 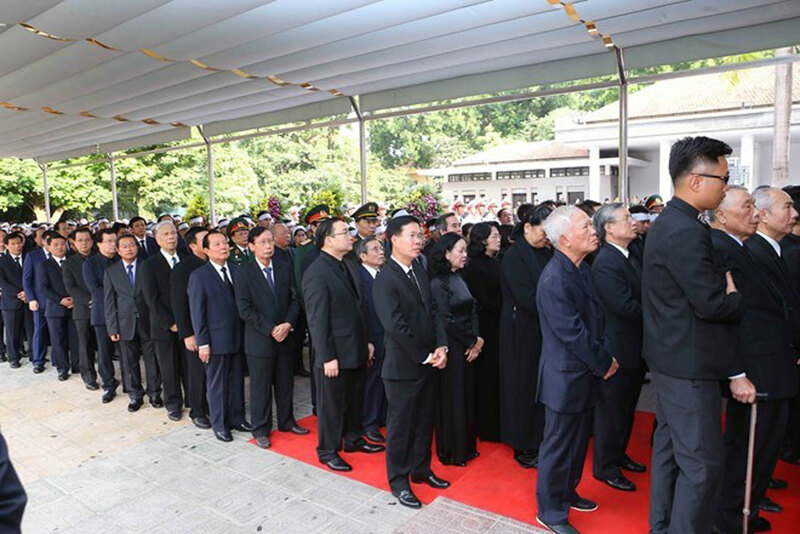 Incumbent and former leaders of the Party, State and representatives of central and local agencies pay their last respect to President Tran Dai Quang. 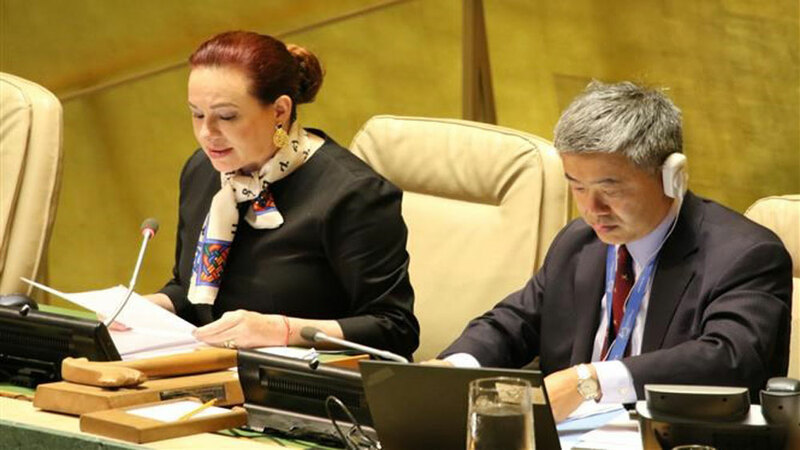 (Photo: VNA). 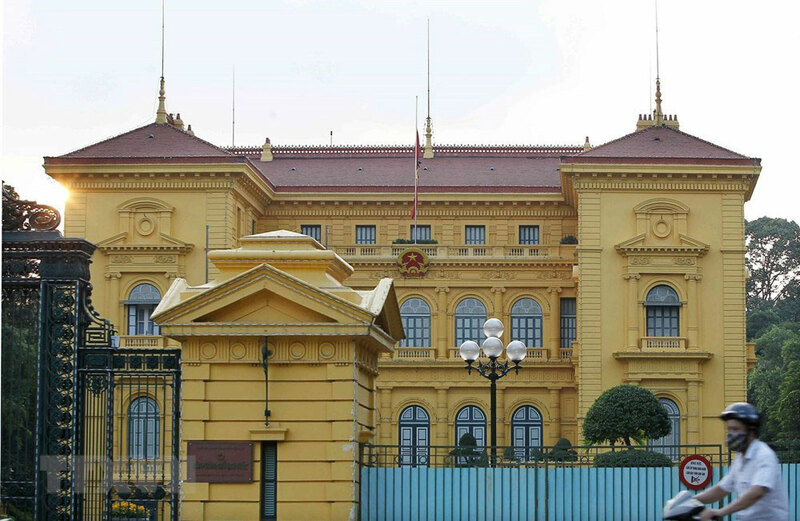 The national flag flies at half-mast at the Presidential Palace (Photo: VNA). 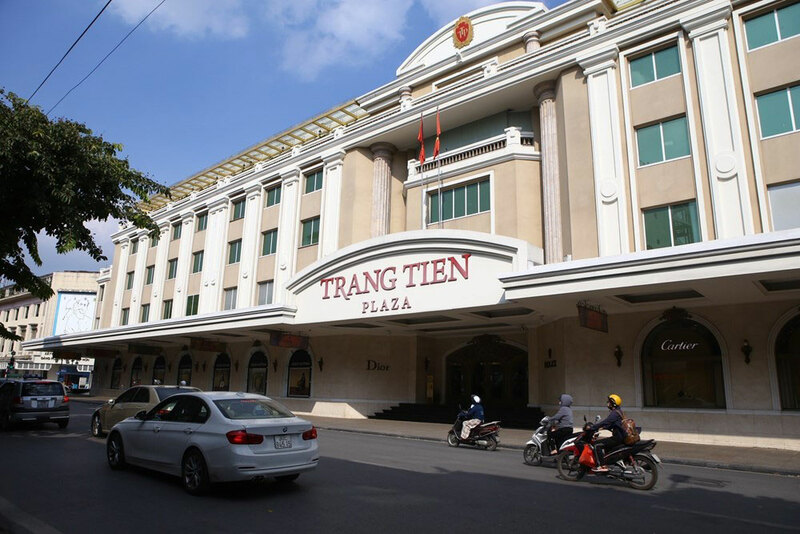 The national flag flies at half-mast at Trang Tien Plaza, a shopping centre located in the downtown of Hanoi (Photo: VNA).